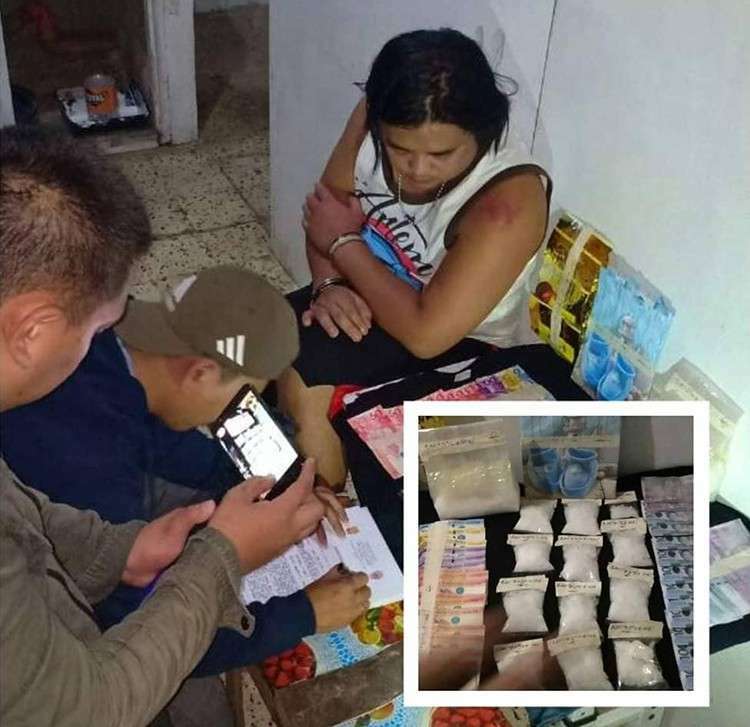 THE alleged supplier to street pushers yielded more than a kilo of “shabu” worth P7.4 million after he was caught in a drug bust in Crystal Compound on V. Rama Ave., Barangay Guadalupe, Cebu City past 10 p.m. Saturday, Dec. 8. Carbon Police Station Chief John Kareen Escober identified the suspect as Addreaainne Lester Adlawan Mendez, 28. At 2:50 a.m. Sunday, Dec. 9, Mendez’s partner, Fern Serion, 24, was arrested for giving a P50,000 bribe to the police in exchange for Mendez’s liberty. Mendez admitted that Serion is his partrner, but he did not know where the latter got the money. Serion refused to be interviewed. Cebu City Police Office Director Royina Garma said most of the arrested pushers’ contacts, or middlemen, are inmates of jail facilities. Garma said she has coordinated with the Bureau of Jail Management and Penology 7 to prevent the inmates’ illegal drug transactions. The Carbon Police Station’s drug bust was coordinated with the Guadalupe Police Station. Mendez’s involvement in the drug trade was confirmed after a two-week surveillance. Escober said the Mendez’s name surfaced after the pushers caught by Carbon police identified the suspect as their supplier. For his part, Mendez did not deny his involvement in the drug trade, but he doubted the evidence allegedly seized from him. “Ako man daw. Ako na lang na angkunon, pero di kaabot usa ka kilo, uy (They said it came from me. Okay, I will admit it, but I doubt the contraband weighed a kilo),” he said. The suspect had planned to stop selling shabu, but poverty kept him from changing his ways.